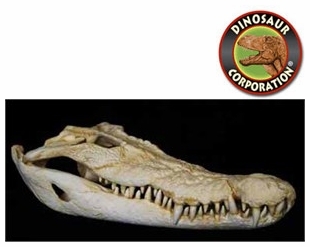 The saltwater crocodile skull. Crocodylus porosus is the largest of all living reptiles, as well as the largest terrestrial and riparian predator in the world. Males of this species can reach sizes up to 6.3 m (20.7 ft) and weigh up to 1,360 kg (3,000 lb).